Erich Conrad M.D. is Associate Professor of Psychiatry at the Louisiana State University Health Sciences Center and is the Vice Chairman for Hospital Psychiatry. He is the Program Director for the LSU-Ochsner Consultation-Liaison Fellowship. He also serves as the Service Line Director for Behavioral Health at the University Medical Center, New Orleans and is the Director of the Spirit of Charity Trauma Center Psychiatry Research Unit. Dr. Conrad completed training at the LSU/Ochsner Psychiatry Residency Training Program in 2003, where he served as chief resident. He is board certified in Psychiatry and Consultation-Liaison Psychiatry. 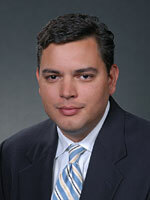 Dr. Conrad's current research interests include psychiatric sequelea of traumatic physical injury. Roi C, Conrad EJ. Combined Oral Contraceptive Pill Initiation in a Patient With Major Depressive Disorder, Premenstrual Dysphoric Disorder, Social Anxiety, Panic Disorder, and Histrionic Personality Disorder. The Ochsner Journal 2017; Summer;17(2):181-183. Wamser-Nanney R, Nanney JT, Conrad E, Constans JI. Childhood Trauma Exposure and Gun Violence Risk Factors among Victims of Gun Violence. Psychological Trauma: Theory, Research, Practice, and Policy 2019; 11(1), 99-106.